There are times when I look for any old excuse to make chicken wings: Game night? Monday Night Football? A weekday ending in the letter “y”? I never know when the craving for chicken wings is going to strike, but when it does, you can be sure that it will be for these sticky, spicy-sweet, Asian-style wings. Today just happened to be a weeknight ending in the letter “y” and so it was the perfect excuse to whip up a batch! 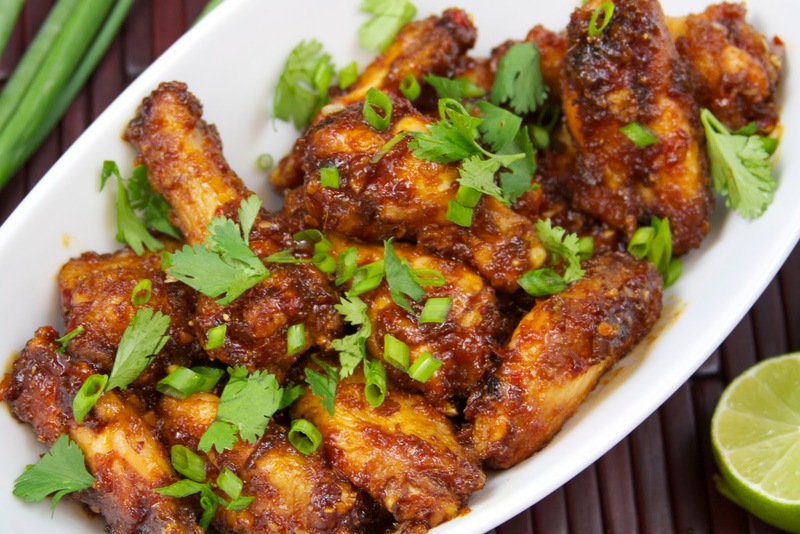 Unlike chicken wings from a restaurant, these wings are baked in the oven and then coated with a thick, smoky sauce that’s just spicy enough to make things exciting! They couldn’t be easier to put together on a weeknight. I brined these wings for about an hour in a very simple brine of water, salt, lemon and garlic. 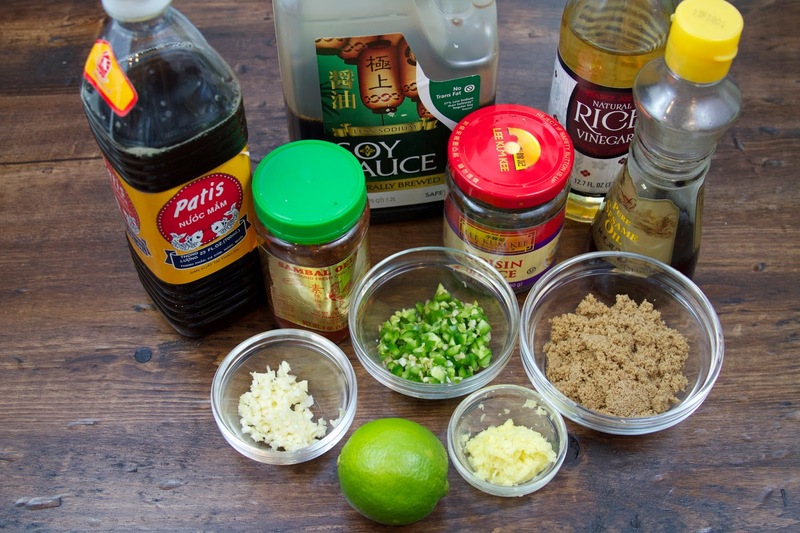 It’s not necessary to do this step, but it does add a base layer of seasoning to the chicken. If you don’t have time to brine your chicken, you can simply season it well with salt, pepper and garlic powder if you prefer. To make the brine, combine one cup of water with 3 tablespoons of kosher salt in a medium saucepan. Bring the water to a boil and stir to dissolve the salt. Add 3 cloves of smashed garlic and one lemon cut into eighths. Add one cup of cool water and one cup of ice to the mixture. Stir to combine. Place chicken wings in a one gallon zipper bag and pour the cooled brine with the chopped lemons and garlic over the chicken. Seal the bag and place inside of a bowl. Place in the refridgerator for at least one hour. When you are ready to cook the chicken, drain the brine and rinse the chicken. Pat the chicken dry with paper towels and season with ground black pepper and garlic salt and a drizzle of canola oil. Combine all of these ingredients in a small saucepan and bring to a boil. Reduce heat and simmer until the mixture thickens, then remove from heat. 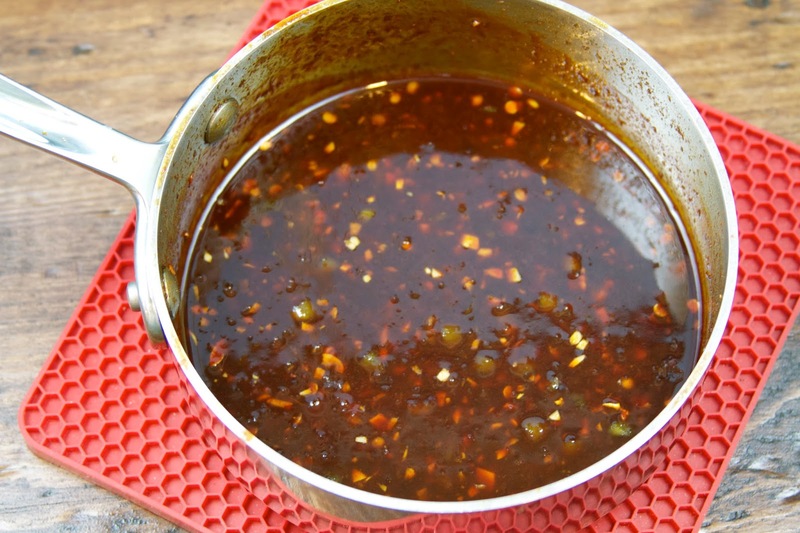 If you like your wings really spicy, you can also add a half teaspoon of cayenne pepper or red chili flake to the sauce! Place about 2 tablespoons of corn starch in a plastic bag. 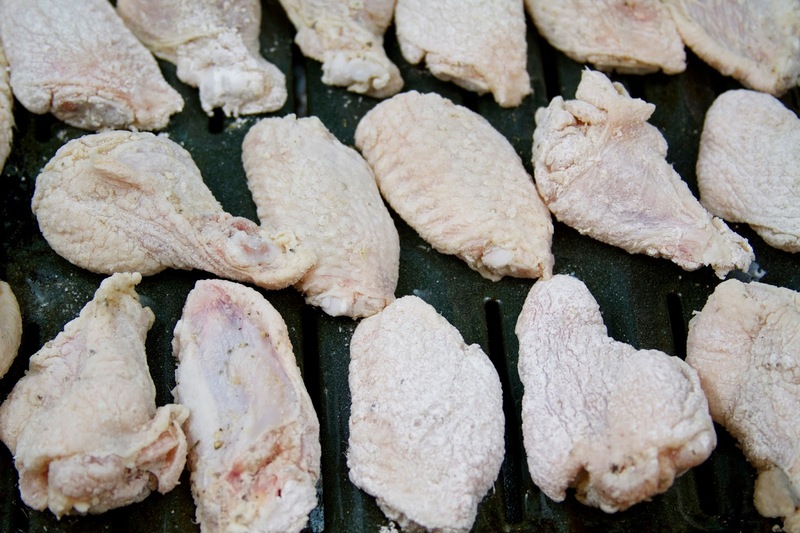 Place a few wings in the bag at a time and shake to lightly coat with the corn starch. Place on an oiled roasting grate and bake for 40 minutes until golden brown and cooked through. Pour the sauce in a large mixing bowl. Place the cooked chicken wings in the bowl and toss to coat with the sauce. 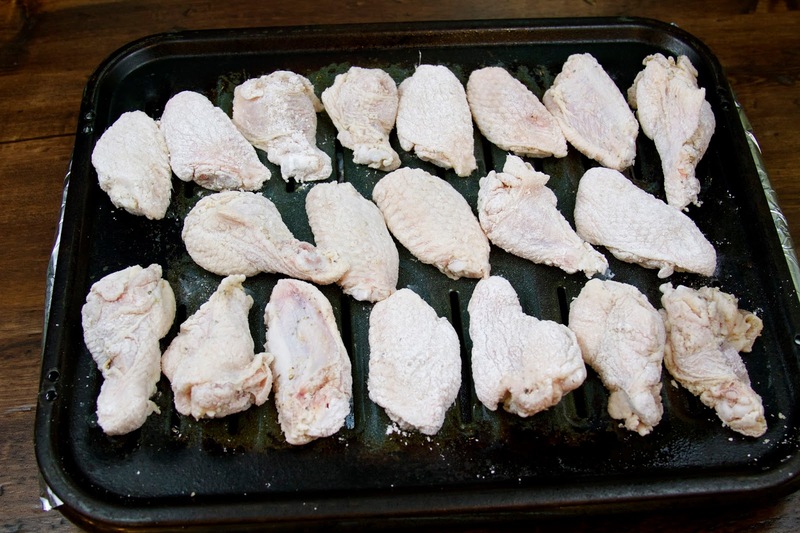 Place the chicken back into the oven and cook for an additional 5-7 minutes to glaze the wings. 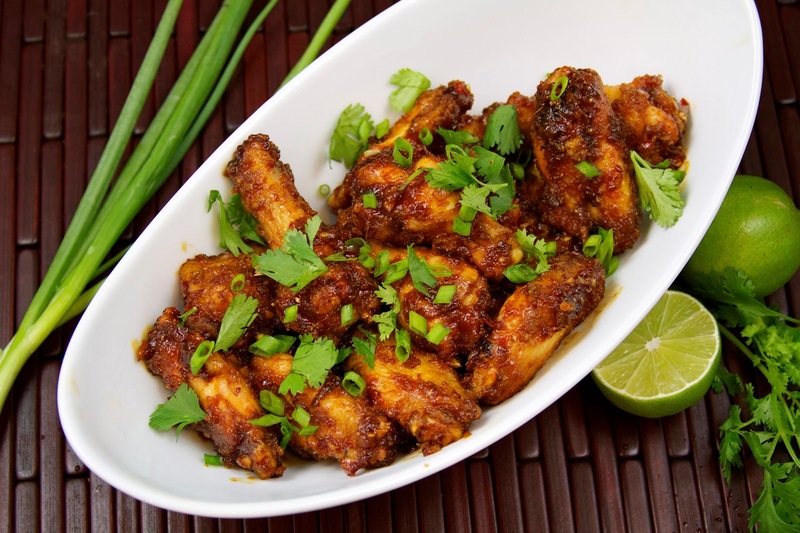 Serve with fresh cilantro, lime wedges and chopped scallions and then gloat in the knowledge that you just made wings better than any takeout wing restaurant! Next PostStarting Fresh in the Garden and PESTS!